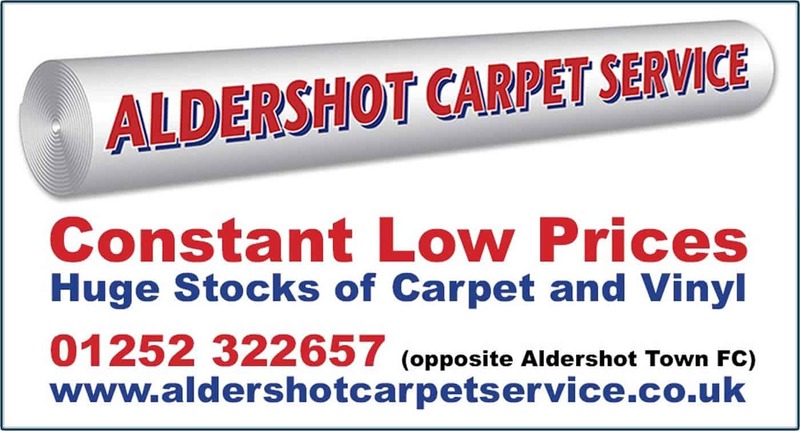 As a leading retailer in Aldershot, Aldershot Carpet Service has been supplying carpets and vinyl to generations of families in the area for over 50 years. Founded in 1957 by Lilian Arnott, we have progressed from a small shop in Victoria Road to our current premises which is a large warehouse with lots of carpets and vinyl to choose from. We are now situated opposite Aldershot Football Club with plenty of free parking at the rear, just at the other end of the road where Aldershot Carpet Service began in 1957. Our firm has been successfully run by Geoff Arnott for the last 43 years. Recently, Geoff has taken a back seat and passed the day to day running of the business over to his son Philip, who has over 25 years carpet fitting experience and a vast knowledge of the carpet trade. Geoff’s two grandsons Ryan and Luke, ably assisted by Jack, are the fitting team. They always hoover after every job and we can help with moving furniture and taking up and disposing of old carpet. In our company we have four generations of family with over 88 years’ experience working in the carpet trade between them. We can always price on carpets and vinyl that you have seen elsewhere as we are extremely competitive.